POOR MAN’S FIGHT Released Through Skyscape on Amazon! POOR MAN’S FIGHT has been released by Skyscape, Amazon’s YA/New Adult imprint! The book is now available for Kindle as well as paperback and as an audiobook in MP3/CD format! It is also on Kindle Unlimited! “So do I actually need to buy this?” HOW COULD YOU EVEN ASK THAT? I THOUGHT WE HAD SOMETHING SPECIAL BETWEEN US! OH GREAT, IT’S MY BIG DAY AND NOW I’M CRYING! Honestly, while yes I obviously hope everyone buys two more copies, I’m not here to sell a bill of goods to anyone. This is Poor Man’s Fight with a professional copy edit and a new label, but it’s not a reboot or a “second edition” or anything you’d need to be able to follow a story you’ve already started. Every purchase helps, but so does every retweet, every review and every word-of-mouth recommendation. Again, it’s also available on Kindle Unlimited, so subscribers can borrow freely. “If I have the original on Kindle, will I get the new version automatically?” Unfortunately no. The new version comes with a new ISBN, which I believe is the dividing line there. “Did anything get cut? Is anything changed? You didn’t cut out all the damn swearing because it’s a YA book, did you?” NOPE! All the damn swearing is still there! Tanner is still an interstellar blasphemer. We changed Allison’s name to Madelyn, as the number of women with A-names was a bit confusing, but that’s about it. I hope to make that change very easy for continuing readers when the third book comes out. I am so very grateful for all the support I’ve received from readers over the years. Thank you for being here! I hope to have more for you very soon! Multiple Announcements and Important Things! “Let me explain… No, there is too much. 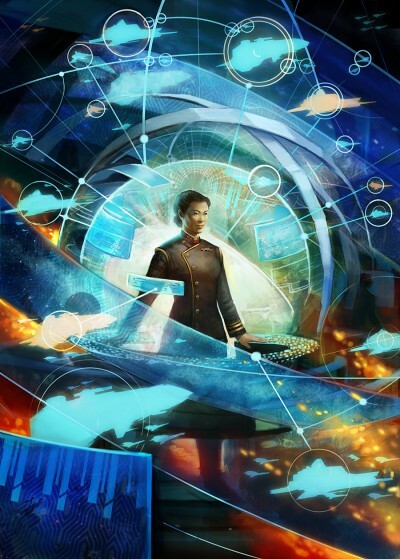 Let me sum up.” Audiobooks, Updates and WorldCon. The site looks very white. Clean, minimalistic white. It’s a bit too white for people who are used to a bit more, uh, variety. But still pretty! Madelyn. Still have to get accustomed to that. Well, once the next book is out I figure I’ll have time for that – she will be there, too, right? Oh, did you know that those audio books on amazon are mp3 CDs, as in mp3 datas on CDs that are getting physically shipped? And shipping date is early july. It’s a bit of a quaraffle. Also, I just don’t have the patience. So please, please please tell me there’ll be a simple mp3 version to download, or that there is and I’m just to dumb to find it (no, really, that seems to happen every once in a while – me being to dumb to find something, that is). Also, I’m totally hyped for book #3 in the series, like I’ve been hyped for books #1 and #2, and just like Good Intentions and Natural Consequences. So keep up the great work and stay healthy! PS: Awesome artwork, too. It’s awesome that you go to such length for your fans and comission such things. PPS: Actually… I was wondering: Will we ever get some of those as posters? Or as wallpapers for our PCs? Madelyn will definitely be in the next book. About the artwork: My agreements with artists currently are that I do not sell prints, but they do! I encourage you to go to Lee Moyer or Julie Dillon’s sites for info on that. Also, you should check them out just to be generally amazed. The other art (like the Molly & Onyx pic) generally comes from artists I’ve found on DeviantArt.com, and I would love to see those artists get some attention. I’ve usually got links to their DeviantArt pages with the pics where available, and you can usually get prints through that website. Regarding the audio stuff: My understanding is that a certain number of those discs have been printed and packaged, but I don’t know what that number is. I do know they exist, because I’ve gotten advance copies. I couldn’t tell you about shipping times and all that, but at the moment I’m supposed to talk with the folks involved in the audio stuff sometime next week, so hopefully I’ll be a little better informed on how all that works soon. I’ll be honest with you Mr. Kay, Poor Man’s Fight, and Rich Man’s War, are absolutely my favorite two books. I have reread the two of them too many times to count. That being said, I’ve grown quite attached to Allison. I’m quite peeved that she’s being changed to a Madelyn. The way I see it, after you learn someone’s name, you can’t see them having any other name. Regardless, I love the books, and can’t wait for more! I’m super flattered to read that, and sorry for any frustration with the name change. I felt like the re-launch was a chance to correct problems with the books, and I saw this as one of them. Many people told me there were “too many A-names.” To be honest, I settled on Allison after realizing that the name I’d originally given her in the rough manuscript (Morgan) didn’t work because of other stories I’d written and may someday publish. But I feel ya on the frustration. Sorry if that’s a drawback. Well, nope. In my mind I’m picturing admiral yeoh as Jackie from the house of cards, an that’s it. How exciting! I am totally thrilled for you! I can only imagine how amazing it must feel to self publish and then be so successful that a publisher wants you. I have been checking this blog every other day for news of the book three of Poor Man’s Fight. So I’m shameless bribing you with buying both of the paper backs for Poor Man’s Fight and Rich Man’s War again (I own the kindle versions) so I can read the third book faster. I love your writing style and details you put in your universe. Keep up your wonderful writing! PS: if you are thinking of a collector edition of the trilogy please let me know so I can beat on your publisher’s door for a pre-order. Hi! Sorry it took a while for this to get up on the blog…turns out I have to screen comments ’cause I get tons of spam comments, and then I was bad and fell off on checking for a bit. Book Three news is that I’m in the middle of some big final showdown stuff now, but I think I’ve got a good ways to go yet. That’s all rough draft stuff, too. Once that’s done, I’ll still need to do revisions and then show it to my beta-readers and then submit it to Skyscape. Presuming they pick it up, I don’t know their timetable, either. That’s the long way of saying, “I’m working on it!” but I AM working on it. I promise! Will these be available on audible? They were showing up for preorder but then they disappeared? I would much prefer to buy them from audible, but will buy the CDs if that’s the only option. Hi! Sorry for the long wait on this. I have to screen comments (TONS of spam comments, as it turns out), and I wound up walking away from the account for a while without doing so. To answer your question: PMF and RMW are not yet available as direct download and/or through Audible because they’re going through some minor adjustments. I’ve heard the first recording and it’s fine (which is why the CDs are still available! ), but we felt some adjustments were worthwhile. They WILL be available, I’m just not sure exactly when. As an aside, Days of High Adventure is now available in audio. Good Intentions and Natural Consequences are done recording and are scheduled to come out on August 4th, though don’t hold me to that on any legal basis…it’s just what Audible told me. But I’m excited! Hello Elliot, WTEQ and GI series are awesome, and i have bought all four books, that aside i have seen no comments on a third book for the GI series, is this a subtle hint there isn’t one, or is it just you have not got round to it? Either way good health and keep up with the books coming. Is there a full third novel for GI series coming out? Seriously, I really want to do another GI novel, but I have to finish this one first. I expect we’ll at least see a collection of GI short stories before too long, though. Elliott I have enjoyed all your books and i am looking forward to your next one. I have seen hints as to the title of Poor Man’s Fight 3 but not a official announcement. What will be the title and can you post a prologue like you did for Rich Man’s War ? I’m hard at work at finishing the rough draft for book 3, which is why I’ve hardly posted at all here. I’m *almost done* with the rough! As soon as I’ve got the rough finished and done a quick run-through to make sure I’m settled on things, I plan to post at least the prologue or first chapter (which might actually work better). As for a title, I’m 90% settled on something, but again, I want to give the whole book a run-through before I drop any hints.